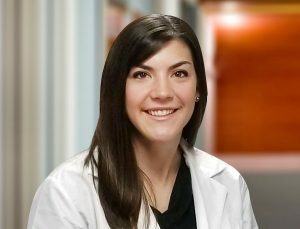 Dr. Stephanie Mesko is a Doctor of Osteopathic Medicine and board certified in Family Medicine, she graduated from Walsh University (undergrad), OUHCOM (medical school) and completed her residency at Akron City Hospital. Dr. Mesko will be accepting new patients beginning June 1, 2018. Dr. Mesko will be sharing in the on call schedule for Pioneer Physicians Network patients at Western Reserve Hospital. The primary mission of Pioneer Physicians Network, Inc. is to provide optimal, high quality medical care in a cost effective manner. We strive to be a health care leader and maintain the highest standards of professional practice in medical teaching, practice style and the implementation of management and primary care services to meet the changing delivery structures of the future in health care. We will be the advocate for the patients, families and caregivers and manage care by coordinating patient education, quality assessment and improvement, accessibility and accountability to the patients. Our vision is to be “first in health” for our patients and their families. For that reason, Pioneer continues to expand, making a growing range of diagnostic and treatment options available to doctors and patients throughout the area.